17 Commercial Real Estate & Properties in Beresfield are listed in 3 categories. 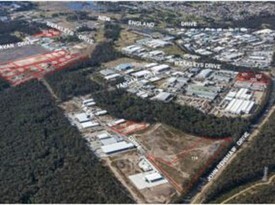 We have 12 Industrial Warehouses Sale & Lease , 3 OfficesSale & Lease and 2 Development LandsSale & Lease . High office content unit in Beresfield Business Centre. Ideal for a business requiring extensive office area Fully partitioned with carpet and air conditiong over two levels with male and female amenities and kitchenette. Small warehouse area at rear, accessed by high clearance roller shutter and allocated parking on site. DA is approved and construction has started. 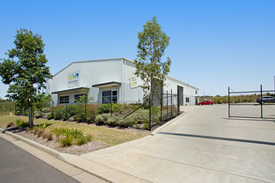 Positioned within the busy Beresfield Business Park, which is located just off the M1 approximately 2.5 hours north of Sydney. • Modern corporate office space 684m2 • High clearance warehouse area 1,257 sqm • Secure, concrete slab construction • Dual street frontage an ample onsite parking • Zoned IN2 Light Industrial • Corner site with excellent exposure • Suitable for numerous uses • Construction to be completed by end of 2018 approx Information Memorandum is available on request Approximate Subject to council approval Images are indicative only.. .. .
Unit 1 is in a prime position, located just minutes from the M1 Motorway and the Hunter Expressway. This first class office space is definitely worth a look for any business seeking to expand and take advantage of this affordable office area. . Key Features • NBN available • Two allocated car parks • Brand new office suite • Open plan layout • Amenities available. This office suite is situated only moments from the M1 and located in Beresfield Business Park. Split over two levels with multiple offices and meeting rooms, this complex is perfect for a magnitude of companies and uses. 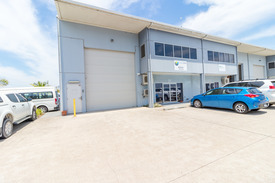 Large garage/storage Strategic location Plenty of natural light Full amenities Allocated parking Container height roller door This property is available now and won't last long... .
Approx 3500sqm of Industrial land with good main road exposure and easy highway access. On the land is a 4 bedroom home with double garage, rear office and dual access driveway. Would suit use by building, storage or transport companies. 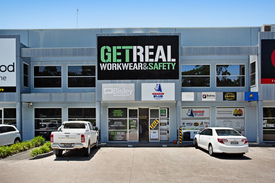 Previously used as Landscaping Business. NB: Front half of property only. Rears sheds not included. Contact John on 0425 468 849 or Katrina on 49492333. Large Cold Storage Facility $417,525 net pa + GST &am.. Proposed new 4,195 sq/m cold storage facility Approx. 7,788 sq/m lot 200 sqm of office & amenities 5 loading docks including dock leveller DA approved ready to build to your fit out requirements Ideally located close to the M2 Sydney to Newcastle Freeway REGISTER YOUR INTEREST NOW! Solid pre cast concrete construction. Office area and amenities. On site car parks. Approximately 215sqm including mezzanine level. Incentives on offer! Approximately 186 sqm including mezzanine. High roller door access. On site car parks. Incentives on offer!